The story of one woman's passionate odyssey and sophisticated fantasy of Arabia, ancient and modern. "There was a blue cast to Satjma's handsomely sculpted mesmerizing tale of earthbound witchery and celestial love." Fatma, an Arabian peasant girl, unwittingly embarks upon a strange journey of transformation the day her father marries her off to a snake handler. Unbeknownst to the new bride, her husband milks the venom of his snakes for use in potions he sells on the side. Bitten by one of the snakes, Fatma changes from naive girl to sensuous woman. What's more, she now gains an arcane affinity for her husband's reptiles as well as a talent for controlling them. This trait will enable her to travel from the sands of Arabia to the shadows of the Netherworld beyond the realm of ordinary human experience. 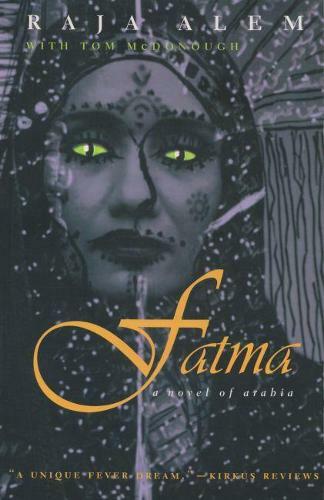 Resonating with ritual and mystery, Fatma is a fabulous tale of one woman's path to ecstasy - an enraptured vision of enchantment in this world and fulfillment in another. The first novel to be published in English by one of the most distinguished of modern Arabic writers, this imaginative work blends naturalistic prose, poetry, and song with all the magic of its author's abundant literary gifts.